No ghost in the machine: is humankind suffering of a global Alzheimer disease? My parents had been married for 58 years when my mother died. That was a terrible loss for my father, then 86 years old, and I was much worried about his health. But I was relieved when I saw that, after a few months, he seemed to have recovered from the shock. He remained active and he could manage his everyday life without special assistance. He could take the bus, alone, and walk alone in the neighborhood. He even made new friends and spent time with them. However, something was wrong with my father. Terribly wrong. I remember a conversation that my father had, at that time, with my son about some plants that were growing on a steep slope of the garden. He wanted to cut them down and my son, who is a geologist, was trying to explain to him that it wasn't a good idea; the roots of these plants were keeping the ground of the slope stable. But my father didn't agree and he insisted that he wanted to get rid of those plants. I watched that conversation, more and more distressed, while my father kept building up all sorts of arguments to counter my son's ones. Jumping from one subject to the other, he was able to move the conversation in a cycle; never really answering on any point, but always switching to something else. It went on, perhaps, for one hour and it ended with my father not having budged of an inch from his position, leaving me and my son looking at each other, baffled. That conversation was the first evidence of the onset of the Alzheimer disease for my father. At that time, I didn't really understand that, mainly because I didn't want to. But the symptoms kept mounting until my father died at 92, his mind gone. Nevertheless, for a few years, he managed to hide very well the symptoms of his mental decline. He was both intelligent and brilliant and he had developed all sorts of strategies to avoid finding himself trapped in a situation that would show his problem. He would get out of troubles by a joke, a witty comment, a humorous quip, or simply by changing subject. But my father could get away with his problem only with acquaintances. For the members of his family, his condition was evident. Maybe you know the metaphor of the "ghost in the machine;" it says that there is a little ghost in the brain or somewhere that controls the bigger machine that's the human body. That ghost wasn't inside my father anymore. He was gradually becoming something like an answering machine, a very sophisticated one, but a machine. He was like one of those computer programs that purport to simulate human intelligence. He would be able to speak to people, and even to answer to them in ways that seemed to be superficially correct. But, like an answering machine, he wasn't really listening, the ghost was gone. This story of some years ago came back to my mind as I was reading an article by David Dunning, titled "The Psychological Quirk That Explains Why You Love Donald Trump" You may know Dunning in relation to the "Dunning-Kruger" effect, a feature of the human mind that makes people convinced that they are competent in some subject, and that makes them the more convinced, the less they know about that subject. Or course, the Dunning-Kruger effect is not the same thing as the Alzheimer disease, but in his article Dunning highlights the fact that there is a mental problem with many people engaged in the political debate. I think it is true. There is such a problem. When I read or hear Donald Trump's statements, I can't avoid thinking about that ill-fated conversation when my father argued with my son about cutting those plants in the garden. It was the same kind of exchange: people who just appear to be debating, but aren't really understanding each other. In the political statements by Donald Trump, I see something of the way my father would react during the initial stages of the disease. The same unsupported statements shot at random, the same absolute certainty shown by someone who, really, had no idea about what he was speaking about. That doesn't mean that I can say that Donald Trump has Alzheimer. He might, others seem to have noticed that there is something badly wrong in the way he behaves (h/t Clark Urbans for the link). 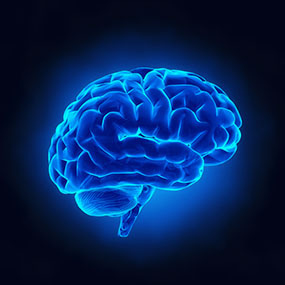 But there is no way to diagnose Alzheimer with any certainty when it is in its early stages. However, the problem is not specifically with Donald Trump. No; this sensation of discussing with an Alzheimer patient comes often to me when following a political discussion in the media or in the comments of a blog or on social media. The debate doesn't seem to be among people who listen to each other. Rather, it seems to be among people who throw statements at each other as if they were tennis balls. Think of tennis players: they are not interested in the color of the ball they play with, only to throw the ball back to their opponents as fast as possible. So, in these debates, people don't seem to be interested in the meaning of what's being told to them, just to throw something back at their opponents as fast as possible. Do you know the political tactics called the "Gish Gallop"? It consists in drowning an opponent in a torrent of arguments, one after the other, ignoring the counter-arguments. It can be used by perfectly sane people, but, at the same time, it is the ideal strategy to conceal one's mental disease. It describes very well the strategy that my father used for that purpose. So, those people whom we call trolls, are they just nasty, or are they sick? How many people in high-level position could be affected by the Alzheimer disease and yet be smart enough to hide the early symptoms? We already had a president, Ronald Reagan, who may have been in the early stage of Alzheimer during the last period of his presidency. That may not have caused big problems, but don't you have the sensation that the world is ruled by people affected by some form of dementia? Could it be that we suffer from an Alzheimer-like civilization disease? That would explain why civilization never arrives at doing something useful about the terrible threats if faces, first of all, climate change. Maybe there really is no ghost in the machine we call civilization. It is a giant machine that stumbles around while arguing with itself in an endless squabble and getting nowhere. My father, Giuliano Bardi (1922-2014) was an architect and a high school teacher. As an architect, he didn't have the chance to build many structures, but those that he built show the cleanliness of lines that was typical of the modernist school of architecture. He designed and had built the house where he lived until his death and where his family still lives today. I remember him for his keen spirit of observation that made him able to discover unsuspected details on anything. He was also a brilliant teacher, much loved by his students. So much that at his funeral many of them remembered him well enough that they came to say farewell to him for the last time. The French Association "Adrastia" has been interested enough in my modest work that they asked me a series of questions. The original interview was in French, here is the text, kindly translated into English by Florence Mitchell. Our sincere thanks to Mr. Bardi for agreeing to talk to us. U. B.: I have thought quite a bit about these issues, and I find the study of the theory of networks combined with system dynamics modeling very helpful. When I started working on this topic, I thought that the depletion of resources might be the main reason why civilisations collapse. I still think that might be the case, just as it might also be the case that civilisations have been destroyed by outside forces such as climate change or military invasions. But it seems to me that very often something more subtle may be going on: it’s loss of control which leads to the collapse of civilisations. A civilisation is a system made up of elements that are closely linked, and their correlation has to be controlled in one way or another. Besides, the control mechanism needs resources, and if fewer resources are available there may be loss of control leading in turn to a risk of collapse, even before the exhaustion of resources or climate change brings about this result. U.B. : This is the hardest thing. I think it’s not for me to push my children (they are grown-up now) towards my own vision of the world. They have the right and the ability to develop their own vision. And I believe they are well adjusted to a world which is becoming more and more difficult, especially for young people. U. B.: One makes long-term predictions that often turn out to be correct, but it’s difficult to translate them into daily life, very difficult. One thing I have learned is that the future is never what you expect, so you get there, I think, by following a long winding path that you create one step at a time. U.B. : In the West (Western Europe and the United States) I don’t notice many differences: in many places in these countries there is a fraction of the population that is aware of certain problems and tries to work on them. But, of course, I am rarely invited to those countries where these problems are not at all understood. For instance, it seems to me extremely difficult to convey certain ideas in Eastern European countries and especially in Russia. It seems that in Russia the idea that mineral resources are destined to become exhausted at some point is seen as a form of Western propaganda against Russia and its vast mineral resources. And they won’t be taken in, will they? They aren’t stupid… What is to be done? I don’t know. In fact, nothing changes; governments in the West and the East are doing the same thing and couldn’t care less about catastrophist forecasts. It’s well known throughout history: human societies are not very good at managing the future. And, by the way, that’s why I called my blog “Cassandra’s legacy”! U.B. : Clearly it’s extremely difficult to convey messages that are perceived as “catastrophist”. Climate change is a good example: it’s a horrific message to be giving. We are really talking about the possibility of an end to mankind and maybe life on earth. It’s understandable that instead of listening to the message, many people prefer to flee with their hands over their ears while singing “la-la-la!”. We’re dealing, obviously, with the limits of human intelligence. How could we do better than that? Many people have tried to find an answer in neuroscience, others in philosophy, in religion, or even in slightly esoteric fields like “memetics”. Finding the answer proves to be very difficult, if not completely impossible. The only thing we can say is that the future will surprise us. We have arrived here after a journey of some ten thousand years, through the Holocene period. We are only starting to understand the huge transformations that human beings have gone through, thanks to developments and changes during this period which are not only cultural but also genetic. Mankind, hopefully, still has several thousands of years to adapt, and this in a world of constant change. The evolution of mankind is probably far from over. Where this evolution will take us, it’s impossible to say at this point. But evolving means adapting, and the theorists of infinite growth are clearly ill-adapted to the future – they are bound to disappear. In the future, we won’t be able to bypass the need to adapt to a finite world. The real EROI of photovoltaic systems: professor Hall weighs in. 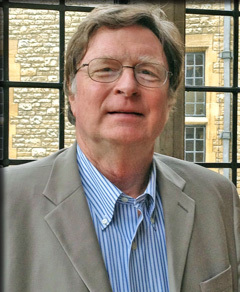 Charles Hall is known for his multiple and important contributions in the field of sustainability, and in particular for having introduced the concept of Energy Return on Energy Investment, EROI or EROEI. He is now emeritus and still active in research; among other things as chief editor of the new Springer journal: "Biophysical Economics and Resource Quality, BERQ. Here, he intervenes in the recent debate on the EROI of photovoltaic systems, sending me this note that I am happy to publish, with some comments of mine at the end. The EROI of our various energy options, and its associated issues, may be the most important issues that will face future civilizations. The present discussion tends to vacillate between people who accept (or advocate) very high EROIs for solar vs people who accept (or advocate) very low such EROIs. I trust only one study, the one I did with Pedro Prieto, who has a great deal of real world experience and data. This study attempted to (conservatively) estimate all the energy used to generate PV electricity in Spain by following all the money spent (per GW) and using physical analysis where possible, and energy intensity of money where necessary. We found that the panels and inverters, which are the only parts measured in most studies, were only about a third of the energy cost of the system. As noted in the responses to Ugo’s last post we estimated an EROI of 2.45:1 in 2008 assuming a lifetime of 25 years and at the juncture with the distribution system. Studies that we think used more or less appropriate boundaries (Palmer, Weissbach) got similar results. We recognize that subsequent studies to ours would probably have generated higher EROIs because of using panels of lower energy costs or higher efficiency. But there are many ways that it might be lower too. For example Ferroni and Hopkirk, who (despite, perhaps, some issues) have done us a good service by attempting to get actual lifetimes for modules, which were much closer to 18 years than infinity. This agrees with what happened in Spain when, due to post-2008 financial turmoil, manufacturers did not honor their guarantees and legally "disappeared", leaving broken systems unfixed. 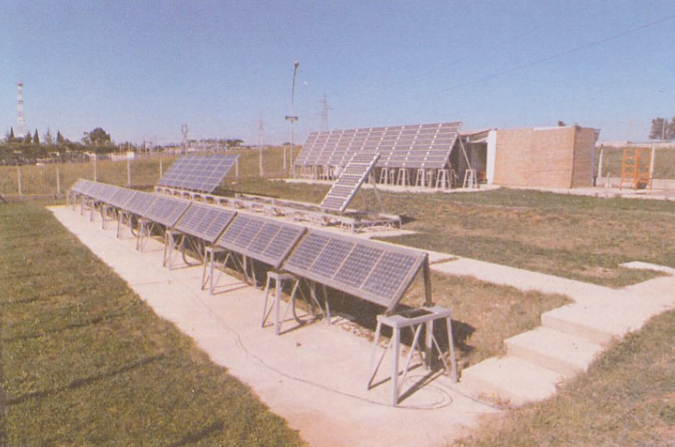 (And what happened to all those "surplus" Chinese panels that were never used? Should we factor in their energy costs, as we factor in dry holes for oil analysis?) My point is that we need to include empirical, not theoretical, estimates of ALL the energy used to make these systems work. 1) They are often done by advocates one way or another, not by experienced, objective (and peer reviewed) analysts. 2) a common protocol is not followed. Murphy et al. 2011 should be followed or good reasons given for not doing so. They recommend that all investigators generate a "standard EROI (EROIst) so that different studies can be compared, but then suggest that investigators may define in addition other criteria/boundaries as long as they are well defined and the reason for their inclusion given. This protocol is being updated at this time to deal with various concerns. 3) Related to above appropriate boundaries are often not used. For a start "follow the money" as money is a lien on energy. Where there is controversy (e.g. include labor or not, and how) this should be dealt with through sensitivity analysis. Energy quality (e.g. electricity vs fossil) also needs to be considered, as Prieto and Hall did in their final chapter. The largest problem with EROI studies is that although the concept has been around and even lauded since at least 1977 it has essentially never been supported by legitimate and objective funding sources such as the US National Science Foundation (which however has recognized this as a large failure and is starting a new program on EROI.) As any investigator knows it takes money to do a good job, and this we have not had. Most of the best work has been done on a shoestring or pro bono. This appears to be changing now, especially in Europe, and we hope to see some kind of objective, high-quality Institute/Program in the future. We also need better governmental statistics on energy use and the development of appropriate energy I-O analyses to get a better handle on energy costs. These had been done to high quality in the US 40 years ago but the official Bureau of Census energy use data has degraded, and we have ceased undertaking appropriate energy I-O analyses while the real experts have retired or died. If these issues can be resolved, which is not too difficult at least in principle, and if the protocols are followed, then I think we will narrow the range of published EROI estimates considerably. In the meantime I have done a fair amount of sensitivity analysis (e.g. 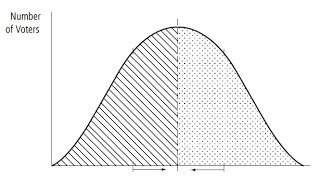 Guilford et al 2011; Prieto and Hall 2012) that suggest that at least for the studies I have been involved with the range of uncertainty is well within plus or minus 25 percent (except when using the assumptions of using the energy cost of the full salary of labor or electricity is multiplied by a quality factor of three, in which case the range is two to three). At this time, we do not recommend either of those two factors for general use. This range of uncertainty is much less than the EROI range among the different technologies, as shown in Euan Mearns most recent post. Guilford, M., C.A.S., Hall, P. O’Conner, and C.J., Cleveland. 2011. 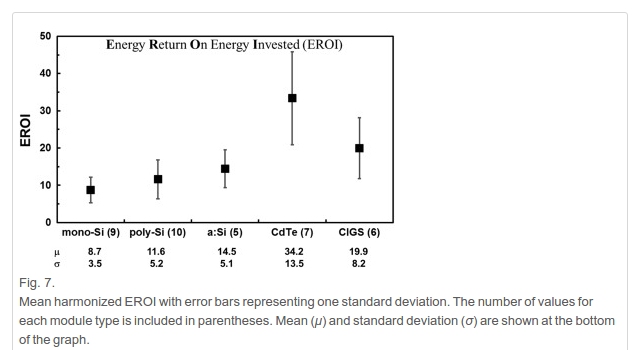 A new long term assessment of EROI for U.S. oil and gas: Sustainability: Special Issue on EROI. Pages 1866-1887. Murphy, D., Hall, C.A.S., Cleveland, C., P. O’Conner. 2011. Order from chaos: A Preliminary Protocol for Determining EROI for Fuels. Sustainability: Special Issue on EROI. 2011. Pages 1888-1907. This note by professor Hall highlights some elements of the debate and let me comment on it. Basically, I think that there is nothing wrong in the work by Hall and Prieto that arrived at relatively low values of the EROI of PV (note, however, that there is a lot that's wrong in the recent paper by Ferroni and Hopkirk, but that will be addressed elsewhere). The discrepancies are due to different initial assumptions, as Hall correctly states here, and, obviously, different assumptions lead to different numbers. Then, the question is, what are the "right" assumptions in these estimates? Evidently, it depends on what one is trying to measure. Here lie the problem and the remarkable confusion surrounding the debate. 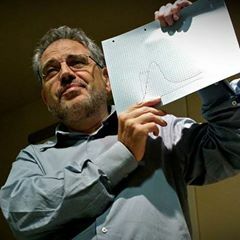 Basically, there are two main possible aims for an EROI calculation: 1) determining whether a technology is an energy source or an energy sink and 2) determining whether a technology can support an industrial civilization similar to ours (maybe including SUVs and plane trips to Hawai'i for middle-class families). Once this point is clarified, we see that answering these different questions requires different assumptions. For the first question, energy source or sink, the estimate is defined by the life-cycle analysis (LCA) of the plant. For PV, that includes the cycle of all the components of the plant (surely not just the cells!). Within the LCA framework, the result is an EROI of about 11-12 for the most common technologies available today. There is no doubt that a PV plant is an energy source, not a sink. For the second question, can PV support a civilization, we are dealing with something very different and it is for this purpose that professor Hall defines the "extended EROI" (EROIext). However, how the term "extended" is to be understood is open for discussion. If you think that a civilization should include plane trips to Hawai'i for middle-class people, then the energy required should be factored in the calculation. Without arriving at these extremes, the more elements you add to the energy cost, the lower the final EROI turns out to be and it is not surprising that Hall and Prieto arrive at values between 2-3. These values still make PV an energy source and not a sink, but find it to be hardly able to support plane trips to Hawai'i. But that should have been obvious from the beginning! There are a few fundamental problems with the concept of "EROIext" that I think make it a scarcely viable idea, but it might become a standard if we all find an agreement on it. The main problem, I believe, is that when we deal with such a thing as the survival of our civilization we move into a very slippery set of questions. One problem is that EROI is not the only parameter that we need to consider, and PV not the only renewable technology available; to say nothing about defining what we mean as "our civilization". So, claiming that PV, alone, cannot support the present civilization may be true, but it is also totally irrelevant. If our civilization has to survive the ongoing crisis it has to go through profound changes that are difficult even to imagine for us. For sure, however, all the renewable technologies able to produce a positive net energy, such as PV, have a role to play in our future. Note: the current standards of EROI measurements are described in this document. As I said, it was a very informal poll and these questions could have been phrased differently, and probably in a better way. And, indeed, many people thought that their position was best described by something intermediate, some saying, for instance, "I am between 4 and 5". Because of this, it was rather difficult to make a precise counting of the results. But the trend was clear anyway. Out of some 70 answers, the overwhelming majority was for option 4, that is, the transition is not only technologically possible, but within reach at a reasonable cost and fast enough to avoid major damage from climate change. The second best choice was option 3 (the transition is possible but very expensive). Only a few respondents say that the transition is technologically impossible without truly radical changes of society. Some opted for option 5, even suggesting an "option 6", something like "it will be faster than anyone expects". I must confess that I was a little surprised by this diffuse optimism, being myself set on option 3. In part, it is because I tend to frequent "doomer" groups, but also on the basis of the quantitative calculations that I performed with some colleagues. But I think that these results are indicative of a trend that's developing among energy experts. It is an attitude that would have been unthinkable just a few years ago, but the experts are clearly perceiving the rapid strides forward of renewable technologies and reacting accordingly. They feel that there is a concrete chance to be able to create a cleaner world fast enough to avoid the worst. I understand that this is the opinion of just a tiny group of experts, I understand that experts may well be wrong, I understand that there exist such things as the "bandwagon effect" and the "confirmation bias." I know all this. Yet, I believe that, in the difficult situation in which we find ourselves, we can't go anywhere if we keep telling people that we are doomed, no matter what we do. What we need in order to keep going and fight the climate crisis is a healthy dose of hope and of optimism. And these results show that there is hope, that there is reason for optimism. Whether the transition will turn out to be very difficult, or not so difficult, it seems to be within reach if we really want it. Many other things are, I think, negotiable, such as having vacations in Hawai'i, owning an SUV, watering the lawn in summer, and more. Silicon is a material with properties close to the optimal for a solar cell. It is also one of the most abundant elements in the earth's crust, and, finally, we know how to use it to manufacture cells with efficiency close to the theoretical maximum. Isn't it a miracle? "EnergySkeptic" recently commented on an article appeared in "Nature" in 2014 on the possibility of cheap photovoltaic cells entering the market of solar energy. The post is short enough that I can reproduce it in full, below. It is interesting because it shows the problems with the idea of the "miracle breakthrough" in energy that Bill Gates advocates. Here, the discussion is on perovskite solar cells; a technology that promises to be cheaper than that based on silicon. Perovskites are a large class of materials; those being studied as solar cell materials have several advantages, including the fact that they can be manufactured in the form of thin films, don't need to be so extremely pure as silicon, have a band gap close to the theoretical optimum. That, however, doesn't necessarily make perovskites a "breakthrough" in the field. Even assuming that perovskite cells could reach an efficiency high enough to be marketable, the problem is that, at present, the cost of the cells is only about 30% of the total cost of a solar plant. Even if perovskite cells were to cost half as much in comparison to silicon ones, that would be no improvement unless their efficiency were to match or exceed that of silicon. Otherwise, the whole plant would probably cost more because it would have to occupy more space. In practice, to have a breakthrough in solar power, we would need a technology which is 1) significantly cheaper than silicon, 2) much more efficient, 3) that uses no rare and non-renewable elements (that rules out, in the long run, cells that use tellurium or gallium). That's a tall order, especially considering that we are bumping into the physical limits of single-junction cells; which cannot have efficiencies higher than a little more than 30%. Silicon, because of some quirks of the way the universe works, happens to be placed almost in an optimal position in terms of band-gap and, at the same time, to be a widely available element in the earth's crust. So, it is, in many respects, an optimal choice for solar cells, and already not so far away from its theoretical limits. I think that we'll stay with silicon for a long, long time. Surely we will improve the technology, but don't expect miracles. That silicon works so well is already a miracle! 1. Here, in Florence, a colleague of mine has built a nice solar plant that uses multi-junction GaAs cells and concentrating mirrors, attaining, I think, around 50% efficiency. I saw it: it is a wonder of technology, full of gears, motors, optics, sensors, computers, and things. But I didn't dare to ask him how much it would cost to buy one for the roof of my house! 2. True breakthroughs may occur "downstream" with respect to energy production; for instance with batteries and the diffusion of a new generation of electric vehicles. There is no thermodynamic limit to the number of times that a battery can be recharged without degrading. 3. "heavy-duty trucks, locomotives, and ships run on diesel fuel" in the article below is, in part, a canard. Here in Europe, locomotives already run on electricity. Trucks can run on electricity, too, (http://mondoelettrico.blogspot.it/2014/08/ehighway-il-filocarro-elettrico.html). For ships, the problem is not so much how to push them on, there are ways. It is another one, much more difficult (see e.g. https://blogdredd.blogspot.it/2015/08/why-sea-level-rise-may-be-greatest.html). And the only way to solve that problem is to rush into renewable energy as fast as possible. Van Noorden, R. September 24, 2014. Cheap solar cells tempt businesses. Nature #513 470-471. Large, commercial silicon modules convert 17–25% of solar radiation into electricity, and much smaller perovskite cells have already reached a widely reproduced rate of 16–18% in the lab — occasionally spiking higher. The cells, composed of perovskite film sandwiched between conducting layers, are still about the size of postage stamps. To be practical, they must be scaled up, which causes efficiency to drop. Seok says that he has achieved 12% efficiency with 10 small cells wired together. Doubts remain over whether the materials can survive for years when exposed to conditions outside the lab, such as humidity, temperature fluctuations and ultraviolet light. Researchers have also reported that ions inside some perovskite structures might shift positions in response to cycles of light and dark, potentially degrading performance. The need for complex engineering might create another setback, says Arthur Nozik, a chemist at the University of Colorado Boulder. 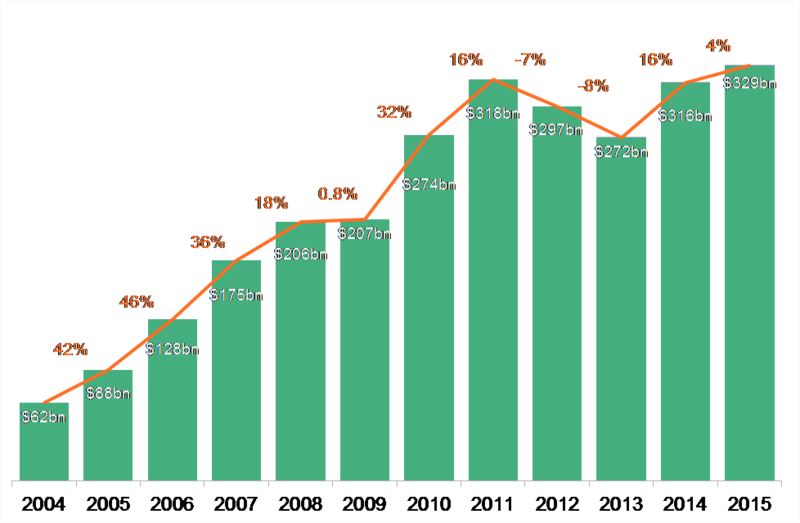 After plummeting in past years, the price of crystalline silicon modules — which make up 90% of the solar-cell market — has leveled off but is expected to keep falling slowly. As a result, most of the cost of today’s photovoltaic systems is not in the material itself, but in the protective glass and wiring, racking, cabling and engineering work. When all these costs are factored in, perov­skites might save money only if they can overtake silicon in efficiency. In the short term, firms are focusing on depositing the films on silicon wafers, with the perovskites tuned to capture wavelengths of light that silicon does not. 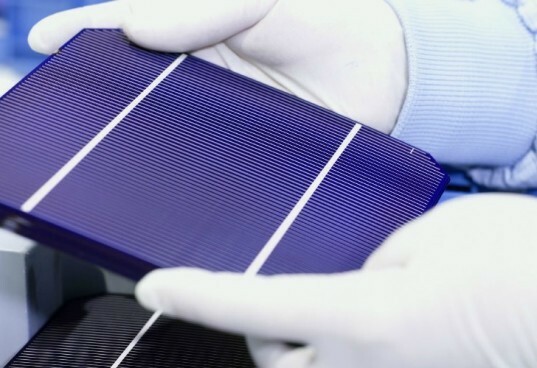 On 10 September, Oxford PV announced that it was working with companies to make prototypes of these ‘tandem’ cells by 2015, and that this could boost silicon solar cells’ efficiencies by one-fifth, so that they approach 30%. Malinkiewicz’s hope is to find a niche that silicon cannot fill: ultra-cheap, flexible solar cells that might not last for years, but could be rolled out on roof tiles, or used as a portable back-up power source. There is another potential snag: perovskites contain a small amount of toxic lead, in a form that would be soluble in any water leaching through the cells’ protection. Although Snaith and others have made films with tin instead, the efficiency of these cells is only just above 6%. 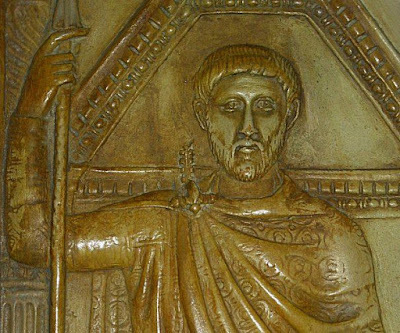 In 408 CE, Emperor Honorius ordered the execution of the "magister militum," Flavius Stilicho, commander in chief of the Roman Army. Stilicho was the man who had stopped several times the invading Goths. He had commanded what Gibbon defined "the last army of the Republic" that had defeated the Goths at the battle of Faesulae, in 406 CE. 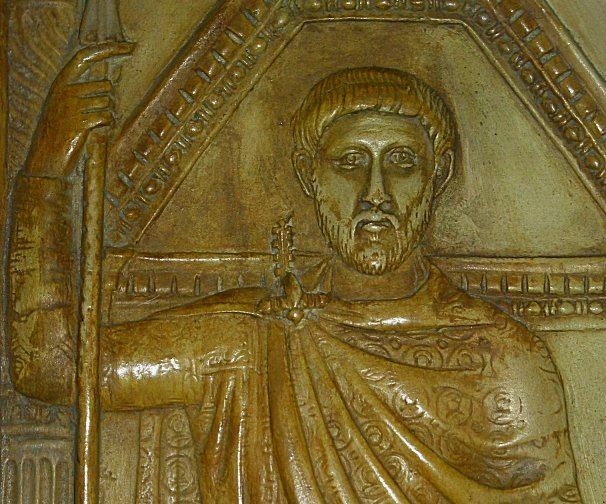 Two years after the death of Stilicho, in 410 CE, the Visigoths sacked Rome. That was the beginning of the end for the Roman Empire, that would disappear forever some decades later. You have probably read of the work of Dr John Church here at HotWhopper and elsewhere. 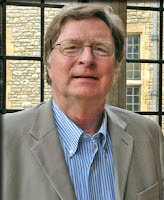 Many of his sea level papers were prepared with his long-time colleague Dr Neil White, who retired last year. All polls indicate that the "public" is largely favorable to renewable energy, apart from a minority of diehards who vent their frustrations by commenting the posts they don't like. So, we don't need a big effort to convince Joe the plumber that solar energy is a good idea. Unfortunately, most likely Joe doesn't have enough money to install solar panels in his backyard. On the contrary, he is probably deep in the red, and if somebody comes up and tells him, "look, your high electricity bill is the result of the subsidies to renewable energy", he is going to believe that. He'll probably keep thinking that solar energy is a good idea, but he won't want to pay any money for it. (nor, in general, for anything related to "sustainability" or "fighting climate change"). In the end, it doesn't matter so much what Joe thinks or does. The point is how to convince that nebulous entity that we call "The Financial System" to funnel large amounts of money into renewable energy before it is too late And with large, I mean LARGE: If the big investors don't move, and fast, we are doomed. The difficulty of the problem is evident if we consider what happened during the past decade, when the "financial system" poured gigantic amounts of money into the shale gas and oil industry. And we all know the story of the great bubble that's bursting out right now. But it is not just a question of money: it has been an incredible misuse of resources affecting a whole civilization; something that may well have doomed it for good, also in terms of the large quantity of greenhouse gases emitted and that didn't need to be emitted. And I can't avoid thinking, "what if all that money and resources had been used for renewables, instead?" The world, today, would be completely different. So, who decided to push all that money in the wrong direction? The Gnomes of Zurich? The Trolls of Budapest? The Goblins of Southampton? The Orcs of Bratislava? Who? And that's VERY worrisome. On the other hand, it is also true that we see a trend of increase during the past two years; that may indicate a return of interest of the financial system to renewables. And the impression is that, yes, there is a clear trend in that direction. So, maybe we have a chance, but we must move on. Image source. 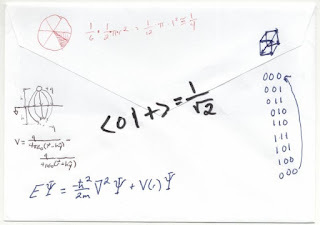 "Back of the Envelope" calculations are a tradition in science and often turn out to be able to provide plenty of useful information, at the same time avoiding the common pitfall of complex models, that of being able to fit anything provided that one has enough adjustable parameters. The world's economy can be seen as a giant heat engine. It consumes energy, mainly in the form of fossil fuels, and uses it to produce services and goods. No matter how fine-tuned and efficient the engine is, it still needs energy to run. So, if we want to do the big switch that we call the "energy transition" from fossil fuels to renewables, we can't rely just on efficiency and on energy saving. We need to feed the big beast with something it can run on, energy produced by renewable sources such as photovoltaics (PV) and wind in the form of electric power. Here are a few notes on the kind of effort we need in order to move to a completely renewable energy infrastructure before it is too late to avoid the double threat of climate disruption and resource depletion. It is a tall order: we need to do it, basically, in some 50 years from now, possibly less, otherwise it will be too late to avoid a climate disaster. So, let's try a "back of the envelope" calculation that should provide an order of magnitude estimate. For a complete treatment, see this article by Sgouridis et al. Let's start: first of all, the average power generation worldwide is estimated as around 18 TW in terms of primary energy. Of these, about 81% is the fraction generated by fossil fuels, that is 14.5 TW. This can be taken as the power that we need to replace using renewable sources, assuming to leave everything else as it is. We need, however, also to take into account that these 14.5 TW are the result of primary energy generation, that is the heat generated by the combustion of these fuels. A lot of this heat is waste heat, whereas renewables (excluding biofuels) directly generate electric power. If we take into account this factor, we could divide the total by a factor of ca. 3. So, we may say that we might be able to keep the engine running with 5 TW of average renewable power. This may be optimistic because a lot of heat generated by fossil fuels is used for indoor heating, but it is based on the idea that civilization needs electricity more than anything else in order to survive. In terms of indoor heating, civilization survives even if we turn down the thermostat, wear a multi-layer of wool, and light up a small wood fire. Renewable installations are normally described in terms of "capacity", measured in "peak-Watt" (Wp), that is the power that the plant can generate in optimal conditions. That depends on the technologies used. Starting from the NREL data, a reasonable average capacity factor a mix of renewables can be taken as about 20%. So, 5 TW of average power need 25 TWp of installed capacity. We need to take into account many other factors, such as intermittency, which may require storage and/or some spare power, but also better efficiency, demand management, and storage. On the whole, we may say that these requirements cancel each other. So, 25 TWp can be seen as a bare minimum for survival, but still a reasonable order of magnitude estimate. Then, what do we have? The present installed renewable capacity is ca. 1.8 TWp; around 7%. Clearly, we need to grow, and to grow a lot. Let's see how we have been doing so far. (The values in the figure below appear to exclude large hydropower plants, which anyway have a limited growth potential). As you can see, we have been increasing the installed power every year. According to Bloomberg, the installed capacity reached about 134 GWp in 2015. If this value is compared with the IRENA data, above, we see that the growth of installations is slowing down. Still, 134 GWp/year is not bad. 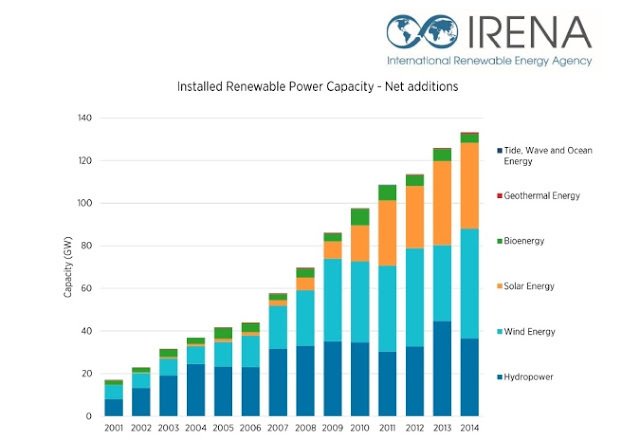 The renewable energy industry is alive and doing well, worldwide. 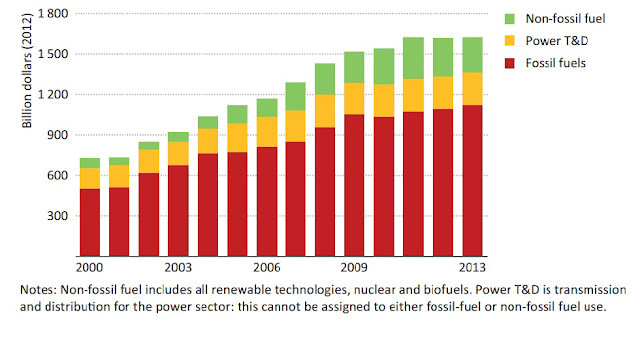 We may not need to reach 100% renewable power by 2050; 80% or even less may be enough. In such case, we could make it with something like 500 GWp/year; still a much larger rate than what we are doing today. And if we manage to arrive to - say - even just 50% renewable power by 2050, then we will have created a renewable juggernaut that will lead to 100% in a relatively short time. On the other hand, as I said before, 25 TWp may be optimistic and we may well need more than that. On the whole, I'd say that 1TWp/year is as good as it can be as an order of magnitude estimate of the energy needed for the survival of civilization as we know it. Approximately a factor of 8 higher than what we have been doing so far. This back of the envelope calculations arrives at results compatible to those of the more detailed calculations by Sgouridis et al. That study makes more stringent and detailed assumptions, such as the need of increasing the supply of energy for a growing human population, a lower capacity factor, the need of a gradual build-up of the production facilities, the need of oversized capacity to account for intermittency, the energy yield of the plants (*) and more. In the end, it arrives at the conclusion that we need to install at least 5 TWp per year for a successful transition (and, by the way, that, if we do so, we can avoid crossing the 2 degrees C warming threshold). That's certainly more realistic than the present calculation, but let's stay with this scribbled envelope as a minimalistic approach. Let's say that, just in order for civilization to survive, we need to install 1 TWp per year for the next 30 years, how much would that cost? As you can see, investments in renewable energy were rapidly increasing up to 2011, then they plateaued with the value for 2015 only marginally higher than it was in 2011. However, if we compare with the previous figure, we see that we have been getting more Watt for the buck. In part, it is because of previously made investments, in part because of the improvements in renewable technologies that have reduced the cost per kWp. But note that technological improvements tend to show diminishing returns. 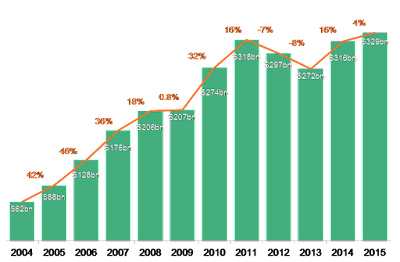 The cost of renewable energy in terms of watt/dollar has gone down so fast and so much that from now on it may be difficult to attain the same kind of radical improvements, barring the development of some new, miracle technology. For instance, at present solar cells represent only about 30% of the total cost of a PV plant. Even if we were able to halve that cost once more, that would result in just a 15% lower cost of installations. Take also into account that technological improvement may be offset by the increasing costs of the mineral resources needed for the plants. We said that we need to increase the installation rate of about a factor of 8 in energy terms. Assuming that the cost of renewable energy won't radically change in the future, monetary investments should of about the same factor. It means that we need to go from the present value of about 300 billion dollars per year to some 2 trillion dollars/year. This is a lot of money, but not an unthinkable: amount. If we sum up what we are investing for fossils (about $1 trillion/year), for renewables ($300 billions/year) and nuclear (perhaps around $200 billions/year) we see that we are not far from there, as we can see in the image below. The total amount yearly invested in the world for energy supply is about 2% of the Gross World Product, today totaling about US$78 trillion. And there we are. The final result of this exercise is, I think, to frame the transition as a "mind-sized" model (to use a term coined by Seymour Papert). Basically, it turns out that, barring technological miracles, a smooth transition from fossils to renewables is probably impossible; simply because the current way of seeing humankind's problems makes it impossible even to conceive such a massive shift of investments as it would be needed (noting also that investments in renewables have not been significantly increasing from 2011 - that's bad). This calculation also tells us that it is not unthinkable to advance in the right direction and attain a transition that would allow us to maintain at least some of the features of the present civilization. 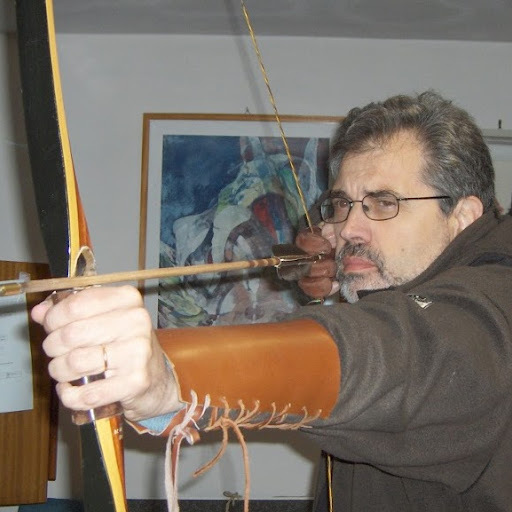 That is, if we are willing to invest in renewable energy, our destiny is not necessarily that of going back to middle ages or to hunting and gathering (or even to extinction, as it seems to be a fashionable future in certain circles). The transition will be rough, it will be difficult, but it will not necessarily be the Apocalypse that many predict. In any case, some kind of transition is unavoidable; fossil fuels just have no future. But civilization may still have a future: all the investments in renewable energy we can manage to make today for the transition will make the difference for the future. This is a choice that we can still make. (*) Note: In this simplified calculation, I haven't specified where the energy needed for building the new infrastructure will come from and I haven't used the concept of EROEI (energy return on energy invested). It is taken into account in detail in the calculations by Sgouridis et al in terms of the concept of the "Sower's Strategy", that is assuming that fossil fuels provide the necessary energy during the initial stages of the transition, then they are gradually replaced by renewable energy. Trump, the unavoidable: is political polarization destroying democracy? Image from Pew Research Center. The increasing polarization of the US electorate has destroyed all the previous certitudes in politics, generating the unavoidable rise of Donald Trump. The hurricane named Donald Trump has taken everyone by surprise by going against all the established rules in politics. So far, candidates were always trying hard to avoid taking extreme positions; aiming for the center of the political spectrum was seen as the way to win, and it worked. But Trump has taken exactly the opposite strategy, always aiming to positions that not long ago would have been seen as extreme and even unspeakable. But he is having success. How can that be? For everything that exists, there must be reasons for it to exist, and this universal rule must be valid also for Donald Trump. And, indeed, the rise of Trump should be seen not only as having reasons to exist, but even as unavoidable. Let me try to explain why. In 1929, Harold Hotelling developed a model of spatial competition among firms that today is still well known and takes his name. The idea is sometimes described in terms of what the best location for selling ice cream on a beach. Assuming that customers are distributed evenly along a linear beach, it turns out that the best position for all of them is to cluster exactly at the center. Something similar holds in politics: it is called the Hotelling-Downs model. It says that, in a political competition, the most advantageous position is at the center. This is a well known and traditional political strategy; those who are at the center win elections. Imagine that the horizontal axis describes the voters' preferences about, say, war and peace. At the two extremes of the diagram there are absolute warmongers and absolute pacifists, At the center, there is a majority that takes an intermediate position; preferring peace but not ruling out war. You see how the preferences among American voters are splitting into two halves. Liberals and conservatives are becoming more and more different, a split that may increase in the future. In a previous post of mine, I interpreted this trend as the result of the growing impoverishment of society, a phenomenon that increases the competition for the remaining resources. The increased polarization derives from the fact that some categories or social classes tend to find it easier to gather resources by stealing them from those who have them rather than creating them out of natural resources (e.g. banks vs. citizens or the elites vs. the middle class). If this interpretation is correct, political polarization is here to stay with us for a long time. 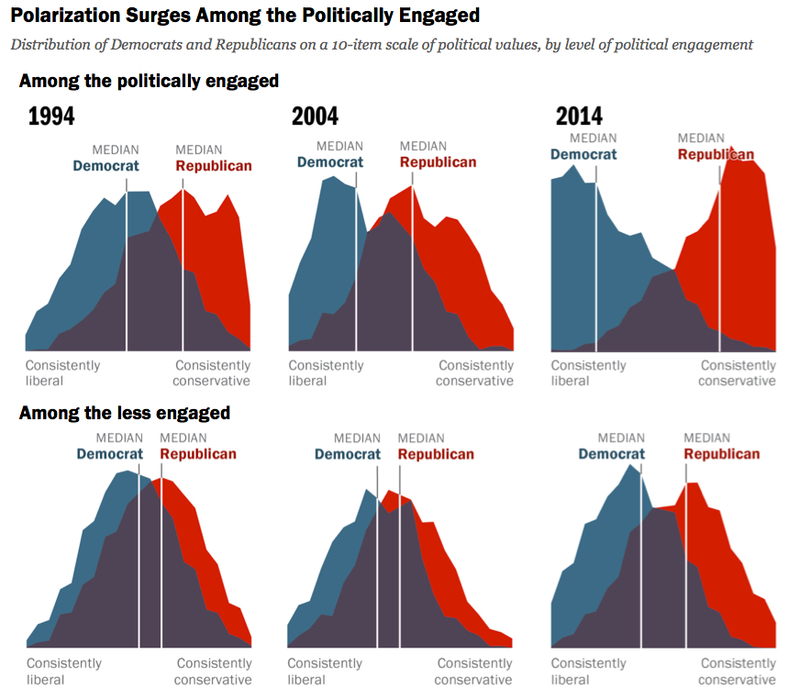 The problem is that polarization has deep political consequences. If society is split into two ideologically incompatible halves then the mechanism of the "primaries" enhances the split even more. The Hotelling-Downs model still holds, but separately for the two halves. At this point, in order to win votes, a candidate may be better off by aiming for one of the two peaks, either at the left or at the right; a position that's in practice obligatory with the primaries, where voters are split into two halves as well. Indeed, Donald Trump has been playing king of the hill in the republican hump while pushing most of the other candidates in the Republican desert of the center. The only Republican rivals that survived Trump's onslaught are those, like Ted Cruz, who are competing with him for the same rightmost peak. Something similar has generated the relative success of Bernie Sanders on the opposite side of the political spectrum; even though that may not lead him to the nomination. So, Donald Trump was really an unavoidable phenomenon. And now? It seems increasingly likely that Trump will obtain the Republican nomination by means of his successful polarizing tactics. But, in order to win the presidency, Trump should abandon the safe but limited hill on the right and try to conquer the center. But can he really do that after such an aggressive and divisive nomination campaign? Trump has nearly supernatural communication skills, but this may be too much even for him. The problem is that the President of the United States is supposed to be the president of everyone, not just of those who voted for him. But, we already saw a dangerous crack in this arrangement with President Obama, when a considerable number of people seemed unable to accept the idea of having a black president. As president, Donald Trump would be likely to generate similar reactions from a different section of the public. That could produce a split in society that, euphemistically, we could define as a little difficult to manage. But, again, Trump is not the cause of anything, he is just the unavoidable result of the rising internecine competition within an increasingly poorer society. He may fail in his bid for the presidency, but the social and political factors that created him will remain. And these factors might easily lead to something much worse than Trump if the economic situation deteriorates further, as it probably will. So, where is the institution we call "democracy" going? It is difficult to say, but, in order for democracy to exist, there must exist certain conditions, in particular a reasonably equitable distribution of wealth in society. And this is something that we are rapidly losing. 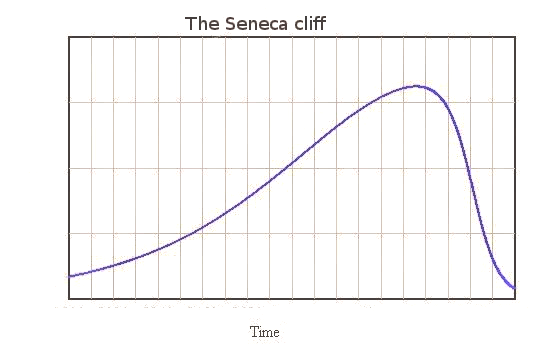 As we slide down the Seneca Cliff, democracy may be rapidly lost as well.